Walton on Thames Beer, Wine and Live Music Festival supports Music in Hospitals & Care! 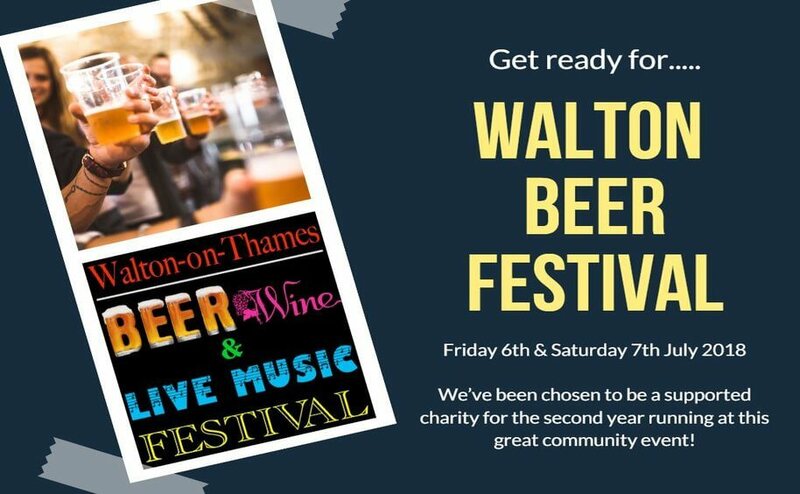 We’ve been chosen to be a supported charity for the second year running at the Walton on Thames Beer, Wine and Live Music Festival! This wonderful community beer festival is hosted at the picturesque Walton-on-Thames Cricket Club close to the town centre and is organised by a team of local volunteers. Now in its 4th year this summer soiree offers amazing value to a wide range of adults who love live music, real ales, prosecco, fine wines and foodies for a low £10 entrance price. The festival is a not for profit community event which raises essential funds for two local charities each year as well as the cricket club, all whilst showcasing local musical talent, local food vendors, breweries and businesses who are interested in supporting the local community. Last year was a huge success and we received a donation of £500 from the event proceeds – some of our staff members were even on hand to pull pints! If you’d like to volunteer this year, for a free ticket on the Saturday night, please contact Emily Winchester on emily@mihc.org.uk or 01932 260 818. The festival takes place on Friday 6th & Saturday 7th July 2018 and is the perfect way to spend a summer evening. Please visit http://www.waltonbeerfestival.org/ticket-shop/ to buy tickets and for more information on the event. We’d like to express a huge thank you to the festival for choosing to continue their support of Music in Hospitals & Care.